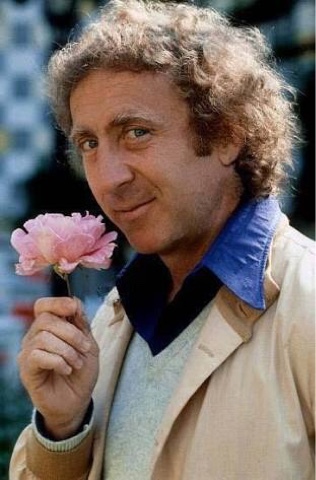 The other day I talked about Robin Williams and to be honest, Gene was just as dear to me. My love affair with him started with Willy Wonka. Who wasn't in love with the chocolate factory? When my parents took me to a real chocolate factory here in Brasil, Garoto, I dreamt it'd at least as friendly. Maybe I could see the different areas or products? And then, there was Ted Pierce. Woman in red is one of my favorite movies of all times, it's all so funny... The lady who worked with him, his wife, the punk kid in love with her, the gay friend... Love it. Can't say how many times I watched WiR, thousands. All the times I cracked. And today I'll watch Ted again, one more time.